I don’t like the key fob. Too bar of soap shaped. Buttons aren’t positive (I’m an HP calculator collector & appreciate quality button feel). Key “ring” is square and not really wide enough for my main keyring. Seems like it’s gonna scratch up, have to wait on that. I liked my VW ring other than the switchblade backup key. Came open too much, but was fun to fiddle with. Toyota fobs have a nice mini ring with 360° spin so it always can get along with whatever else is on your ring. I know many can go without other keys now. I just have a house key, a mini tag for parking, RSA fob for work login. Then the Toyota key goes on and off each weekend with a mini carabiner. I like it, but I never use it in a keychain, the other keys will mess up the fob over time. Fun fact, you can press the button for the internal key and push it inwards to make the key smaller and smoother in the pocket if you arnt using a key chain. Great fact! Dunno if I’ll use it, but good info. Just tried it, there’s a half push to release, then a deeper push ( I needed a smaller than finger item to push in enough). Works great. Now it just needs to make those other keyring items disappear. Last edited by jl199986; 01-23-2019 at 07:56 AM. I agree with Vic. 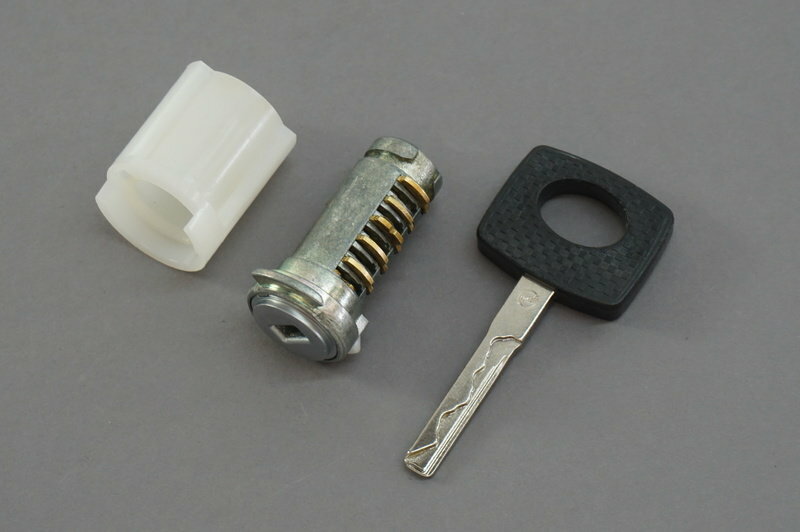 The "key ring" can be lowered into the shell so there is no protrusion that can snag the fob. I wish that MB had enabled the nfc key capability in the US. If they did I wouldn't have to carry any keys. All things considered, I like it. Is there room for improvement? Absolutely! Do you guys remember these? Brings back so many memories. I remember my first MB key was a flat plain steel key. IIRC it was a Huf key. this way, if needed, I can click the two together as "one"
rbrylaw two things: first, how did I know that you would have a solution. I'll check Amazon now. second, don't tell us that you disconnect the Tumi lanyard from your belt strap. You wild man! rbrylaw two things: first, how did I NOT know that you would have a solution. I'll check Amazon now. second, don't tell us that you disconnect the Tumi lanyard from your belt strap. You wild man! Just call me a "Wild and Curaaazy Guy!!!!" The reality is when I'm at work, The fabulous Tumi, with the ever so cool and convenient pull out stainless cord keybelt chain, sits quietly in my desk drawer. Ps: I fixed I fixed your post above (Bold and in Red) for 'ya! BTW, key cover ordered. Got flexible silver and 20% off from the imperial empire (amzn). Can't believe I didn't already have one. I never touched it. Its in a pocket of my manbag since I bought the car and I have never seen it again. Key fob condoms.....for when you really must buy something and can't find anything sensible. Hey..........for the hopelessly OCD, Key Fob Condoms are a must. Scratching one's fob is grounds for having to turn in one's OCD card and I won't have it. No, I won't! Why would anyone need access to their key fob? Mine is in my pocket and I've never had to physically use it. ABout the same as hood bras, or seat covers, dont wanna mess up that car, it has to look real nice when I sell it? With your OCD, doesn't it bother you that the cover isn't the EXACT same color MB meant it to be? Plus, those covers are not MB products, so now you're venturing into cheapening your car! And if you say "no problem because it's in my pocket or in my desk", you're pant's pocket and desk drawer are mocking you!!! AHHHHHHHH, the horror!!! I like the Merc key! It’s not obnoxiously large or heavy. Don’t know why other manufacturers keep making their keys bigger??? Agree on this. The only time I would have to take it out of my pocket is if I want to lower my convertible top before I get in; even then, rarely. HA HA! I agree. I personally like the design of the key FOB. Putting a color cover on it is akin to putting plastic covers on car seats back in the 60's! Why cover up that nice design. Last edited by rustybear3; 01-23-2019 at 06:57 PM. Say you've been outdoors for a few hours on a sunny day, and your car sits at the far end of a parking lot, now very warm inside. If you wanted to open the windows and moon roof, and activate seat ventilation as you approach the car, is there an easy way to do that other than using the fob? But But But, I bought mine at my Mercedes Dealer parts department, so technically, it's a Mercedes accessory. And I have a Blue Car, so I have a Blue Key Fob Cover. 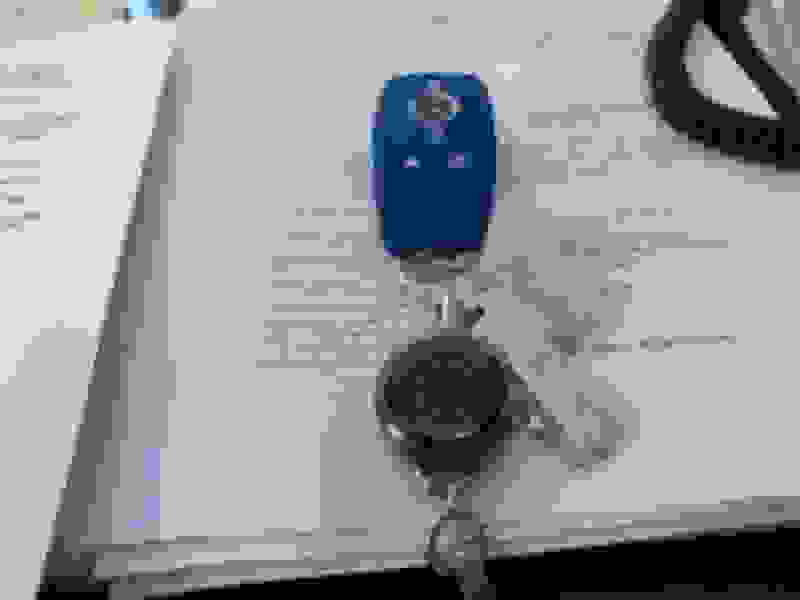 For our Silver E400, the Key fob is covered in the same type fob cover, but in Silver, not blue. And it makes it ever so easy to know which key goes with which car, since they are color coordinated. It's never in my pocket. It's either handing in it's resting place at home, attached to my Tumi Belt Clip Ring, or in my drawer in the office. I don't rightly care if my desk drawer is mocking me. It's a work desk. It can mock all it wants. What pleases me, is my fob will never get scratches. Nope, never! And let's say you want to open the trunk before you get to your car to put groceries or bags in? Key fob to the rescue. Personally, I look goofy standing behind my rear bumper trying to find that perfect spot to kick to open the trunk. Goofy, I'm telling you. Ha! Funny. But you've really had trouble finding the sweet spot to kick? I've only tried kick-to-open a few times so far, but it has worked flawlessly in every instance. I love it. Just guessing here, but your problem may be that you ask it to open while carrying groceries. These elegant vehicles much prefer wine, and are known to react with hostility to vegetables. Quick Reply: I don’t like the key fob.